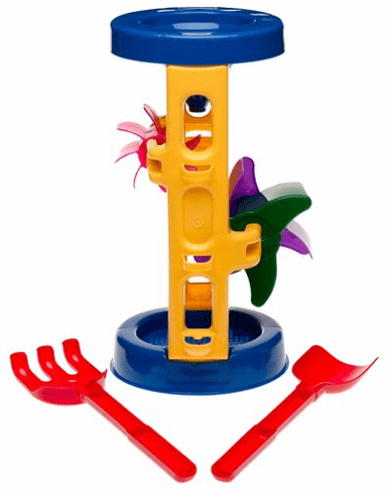 This towering sand and water wheel stands 14-3/8" tall. It features a top funnel, two different shaped wheels that spin in opposite directions, and a sieve built into the base. Set also includes an 11.25" shovel and rake.